Observing the need of reminding and enlightening humanity regarding the significant works of the Promised Messiah(as), Hazrat Khalifatul Masih II(ra) delivered an awe-inspiring lecture at Jalsa Salana Qadian on 28 December 1927, later published in the form of a book by the title Hazrat Masih-e-Maud Ke Karnamey (Remarkable Works of the Promised Messiah(as)). Hazrat Musleh-e-Maud(ra) stated that the subject of this discourse was so closely associated with the Jamaat that it could be considered a question of life and death. Moreover, he emphasised the need of focusing on the works of the Promised Messiah(as) so that the world could realise the truth and start believing in the Promised Reformer. An outline of the incredible works highlighted in this book is given below. The primary work of the Promised Messiah(as) – that is carried out by every prophet of God Almighty – was that he proved the existence of a Living God and manifested every attribute of God by signs and miracles. At the time of his advent, God was hidden from the eyes of the world. These prophetic words were revealed to him before he was divinely commissioned and assigned the task of reforming those who had gone astray in the latter days. Nobody at that time would have imagined the grandeur of the fulfillment of this prophecy. There were, in fact, five prophecies within this divine revelation. Firstly, it was prophesied that the Promised Messiah(as) would live and claim that he was appointed by God Almighty; secondly, that the world would reject his claim; thirdly, that the world would not show ordinary opposition, but in fact it would carry out all kinds of assaults; fourthly, that God Almighty would Himself turn down every attack executed against him and lastly, that the truth of the Promised Messiah(as)would be established. Against all odds, every word of this divine revelation was fulfilled. The second work which was performed by the Promised Messiah(as) was that he created a flourishing Jamaat. One can assess the magnitude of incredible works of his Jamaat by just comparing its resources with its achievements. Even those newspapers which were not associated with the Jamaat used to write that Jamaat-e-Ahmadiyya was the only Jamaat which was working (for humanity). Jamaat-e-Ahmadiyya spread the message of Islam in Russia, France, Holland, Australia and England. The services rendered by the Jamaat when the Muslims of Malkana were being converted into Hindus by the efforts of whole Hindu community are worth recalling. The conversion movement came to a dead stop and the Ahmadiyya Jamaat proved victorious. Thirdly, the Promised Messiah(as) removed all those misconceptions that had become rampant among mankind with regard to the attributes of God Almighty. Apart from the followers of other religions, the beliefs of Muslims were full of misunderstandings about God. Many were indulged in idolatry, deification and some were of the view that God was the primary cause of this world, but after that, everything carries on automatically, denying His attribute of creation. Certain people believed that the world came into existence by itself and God is only responsible for connecting the dots. Several individuals believed that God’s attribute of mercy had been suspended and His omnipotence was misinterpreted as well. There were those who believed that everything is in fact God in itself. The Promised Messiah(as) presented the solution to all these delusional concepts by pointing out that God is لیس کمثلہ شیء explaining that it is beyond the bounds of possibility to perceive God Almighty by equating Him with His creation. We can only understand His Supreme Being by His own attributes. God Almighty still speaks to His chosen ones as He did in the past. He still hears their prayers as He used to hear them in old times. He manifests Himself through His signs as He did previously. Hence, the Promised Messiah(as) through divine help gave satisfactory explanations to remove all those misunderstandings that had become part of the society. Fourthly, the Promised Messiah(as) revealed the true nature of divine revelation. There were several serious misconceptions which prevailed at his time, one of which was that revelation was either heavenly or satanic, and that the only person worthy of receiving divine revelation is a prophet of God. Additionally, some were of the view that revelation was simply an inspiration of the mind and that God could not speak in words, ultimately believing in the cessation of revelation. The Promised Messiah(as) explained that there are primarily two kinds of revelations: true revelation and false revelations. True revelation is received by prophets, saints, mystics and momineen, whereas false revelations include satanic predictions and dreams that carry personal interests, which are experienced out of inner desires and at times through lunatic inspirations. The Promised Messiah(as) highlighted the fact (through his personal experience) that divine revelation is conveyed in words, rendering it free from any doubt of uncertainty and personal inspiration. God Almighty is not dependent on material tongue to express His message, as He has created the whole universe without material hands, so He can speak without material means. Furthermore, the Promised Messiah(as) eradicated the misunderstandings regarding the final word of God, the Holy Quran which was the purest of all divine revelations. He expounded that the Holy Quran bears all the necessary teachings suitable for mankind of every age and time. Presenting unique and comprehendible interpretations of those verses of the Holy Quran which were once declared null and void, the Promised Messiah(as) restored the glory and grandeur of the Holy Quran. Thus, eliminating all doubts regarding the nature of revelation, the Promised Messiah(as) removed all hurdles between man and God. Fifthly, the Promised Messiah(as) erased those wrong perceptions that had taken root in the minds of the people regarding the divine beings known as angels. The term angel was given to the faculties of man by certain schools of thought, considering them as illusive beings. Other misconceptions were that angels perform different tasks, practically moving from place to place, and that they can also sin. Some even considered their existence worthless. The Promised Messiah(as) clarified that the presence of angels is vital for mankind as they are responsible for generating virtuous ideas, and essential for the development of physical and mental abilities. Moreover, Huzoor(as) elucidated the fact that angels perform their tasks through divine influence and that angels are responsible for the smooth running of the universe. The sixth task performed by the Promised Messiah(as) was that he removed those misunderstandings which were widespread regarding the prophets of God Almighty. People used to attribute certain immoral deeds to the prophets, like lying and stealing. What’s more is that they started finding faults in the character of the Holy Prophet(sa). Many believed that it was impossible for a prophet to make any kind of mistake in the interpretation of a divine revelation, while some held the belief of prophetic intercession to the degree that all their sins would be pardoned by means of it. There were huge misconceptions about the Jesus(as). His birth was considered unique in the sense that he was above all other prophets and in fact, the son of God. His miracles were exaggerated, and his teachings were considered absolute and complete. 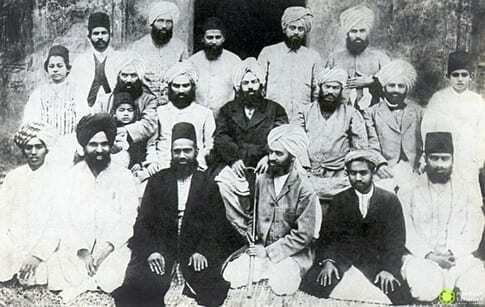 The Promised Messiah(as) restored the status of all prophets by removing general misconceptions, expressing that prophethood was awarded to those who had purified their souls through divine light and that prophets were appointed to reform humanity, thus their character was of the highest quality. He stated that intercession would be carried under the command of God Almighty and only those would be preferred who made extreme efforts to save themselves from sin. Hazrat Ahmad(as) explained that the birth of Jesus(as) was pure and his mother was chaste. Moreover, Huzoor(as) elucidated the fact that he was a prophet like other messengers of God Almighty and not a son of God, thereby presenting the vivid picture of the prophets of God. The seventh work of the Promised Messiah(as) was that he eradicated those generally acknowledged false beliefs regarding the miracles of God Almighty. At the time, some were of the view that miracles could not happen. The Promised Messiah(as) clarified that miracles could be accepted if they were present in the Holy Books provided they are not against the laws of nature. He explained that there must be a purpose to show miracles and, to some extent, there should remain some ambiguity. Hence, the Promised Messiah(as) removed all sorts of confusions regarding the miracles of God. Eighthly, the Promised Messiah(as) restored the splendour and glory of the Islamic Shariah (Divine Law). Several groups, at the time of the Promised Messiah(as) and even today, consider Shariah as a burden and believe that Jesus Christ(as) descended to relieve mankind from the shackles of Shariah. Saints had stopped practicing Shariah as they felt no need for it when they had already attained nearness to God Almighty. There were disputes among people whether every act of the Holy Prophet(sa) was Shariah or if only the word of God was Shariah, neglecting the sunnah of the Holy Prophet(sa) altogether. The Promised Messiah(as) presented it as a blessing from God Almighty and an essential source for the continuous elevation of man’s spiritual status. He clarified that Shariah can be fully understood through the practice and traditions of the Holy Prophet(sa) and every messenger enlightens mankind with the word of God. The ninth work of the Promised Messiah(as) was that he reformed the concepts of worship and prayers. Many people considered worship related only to the soul and inferred that the body had nothing to do with it. Some stopped praying during Salat, while others were satisfied with ordinary acts of worship. Hazrat Mirza Ghulam Ahmad(as)expounded that prayer and worship deeply affect both the soul and the body. Huzoor(as) emphasised on praying during Salat because in this state a person is closest to God Almighty. The prominent work of the Promised Messiah(as) in this respect was that he placed Sunnah and Hadith separately. Also, he made room for exceptions of nature and circumstances which are in most cases the root of certain conflicts. The eleventh work of the Promised Messiah(as) was that he established the rights of women that had been confiscated before his advent. He stressed on the rights of inheritance and education for women. He showed kindness and compassion with respect to the obligation of purda because women of that time were forced to cover each and every part of their body, leaving them in extreme discomfort and difficulty. He made the consent of women compulsory in the condition of legitimate marriage once again and emphasised on giving every right due to them on every level. The Promised Messiah(as) reinstated the position of women in the society, which had been taken away from them regardless of the beautiful teachings of Islam. The twelfth work of the Promised Messiah(as) was the reformation of human actions, vital for salvation and deliverance from sin. Hazrat Ahmad(as) clarified through the blessed teachings of the Holy Quran that man by nature is good and virtuous, thereby rejecting the claims of Christianity that original sin was inherited in every human. Huzoor(as) denied the concept of reincarnation, explaining that salvation is attainable within this world, and that God Almighty, through the instinct of love and fear, assisted mankind to save themselves from sin, eventually attaining the life of eternal happiness. Thus, the Promised Messiah(as) laid down golden principles, taking into account the teachings of Islam to help reform man’s soul and spirit. The thirteenth work of the Promised Messiah(as) was that he provided the ways and means for the progress of Islam and Muslims. He restarted the propagation and promulgation of Islam which had for a long time come to a halt. He presented a true and vivid picture of Jihad and reminded people about the Jihad of wealth, pen and time. The Promised Messiah(as) gave birth to modern ‘Ilm al-Kalam (discipline which studies the doctrines of Islam and defends them). Along with the establishment of many new theories, Huzoor(as) proved that Arabic is the mother of all languages. The fourteenth work performed by the Promised Messiah(as) was the establishment of social peace. Hazrat Ahmad(as) presented certain strategies that he felt were vital for the restoration of peace in the world. He emphasised that the followers of one religion should not abuse the holy and sacred entities or persons of other religions and considered intolerance the root of all conflict and disorder. Moreover, he stressed on presenting the good teachings of one’s own religion rather than criticising others. The Promised Messiah(as) laid emphasis on achieving progress through peaceful cooperation with the government of the country, not through rebellious and factitious behaviour. The fifteenth work of the Promised Messiah(as) was that he presented a reasonable explanation of the life after death and the day of reckoning which could conceivably be offered to satisfy mankind. He explained that the ultimate objective of man is not salvation, but eternal success. He expounded that the material body of this world would stay here and decay, while the spirit or the soul would be resurrected. The soul would be given a new spiritual body that would be capable of experiencing extreme spiritual joys and spiritual pains. Thus, the Promised Messiah(as) portrayed a satisfactory image of the hereafter and the Day of Judgment. The above-mentioned works of the Promised Messiah(as) are akin to a droplet in the ocean; what he did for the betterment of mankind and revival of Islam is limitless and inexhaustible, and to this day is becoming manifest. Previous An ardent lover of the Promised Messiah a.s. – Hazrat Amirul Momineen, Khalifatul Masih V a.a.